Over 10 years in the making, we are on the verge of launching the first Spanish language accredited master’s degree program of the Assemblies of God in Latin America. The hybrid program will be a carefully orchestrated combined effort of AGTS, Facultad de Teología and Universidad Cristiana de las Asambleas de Dios. 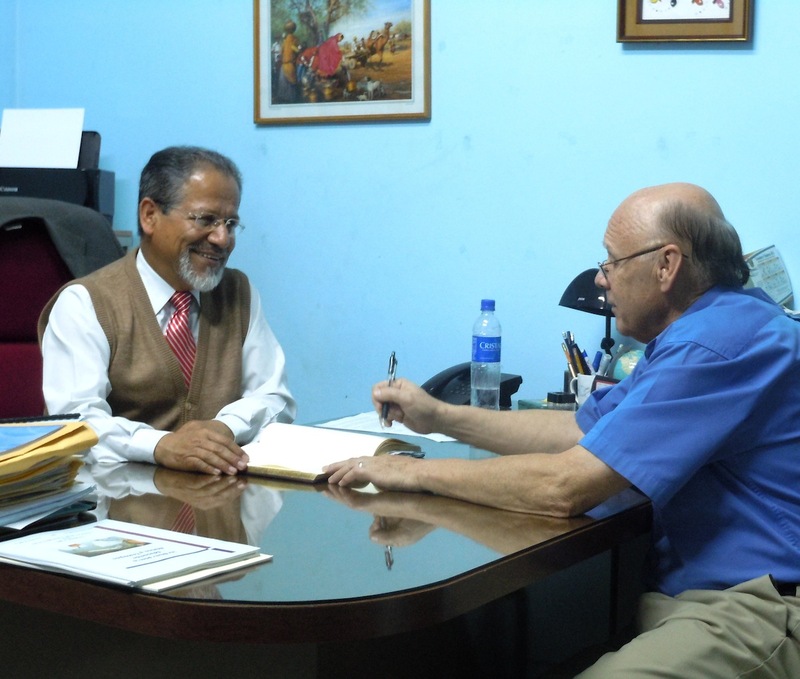 It will be accredited by the government of El Salvador and by Association of Theological Schools, the agency that accredits AGTS. The groundbreaking venture will operate officially as an extension program of AGTS—the first ever outside the USA! Courses will be offered in one-week, on site intensives as in the current modular delivery format of the Facultad de Teología. Graduates of the program will receive a Master of Theological Studies degree with the same full accreditation as those who graduate from AGTS in Springfield. Throughout LAC the need and subsequent demand for accredited degrees increases every year. 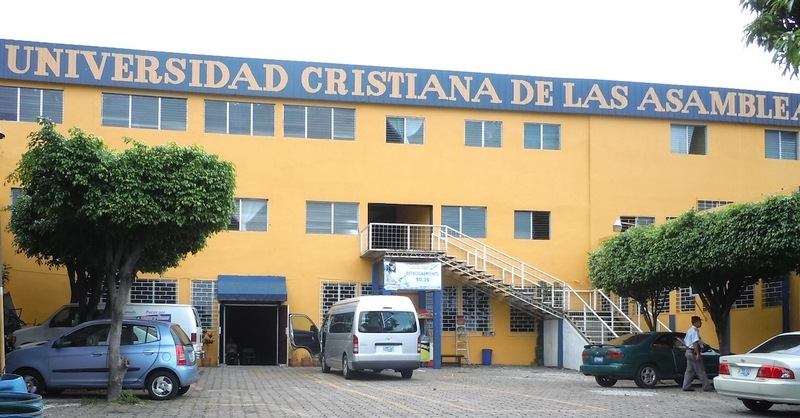 A recent law in Ecuador requires ministers to hold degrees from accredited institutions. To satisfy this demand, the AG of Ecuador forged an educational agreement with an accredited evangelical university in Quito. The national church wants to establish an AG university and will need teachers with accredited degrees. There are accredited AG universities in El Salvador, Nicaragua and Bolivia. Facultad de Teología and the AG of Peru have submitted documentation to the government for an accredited university. 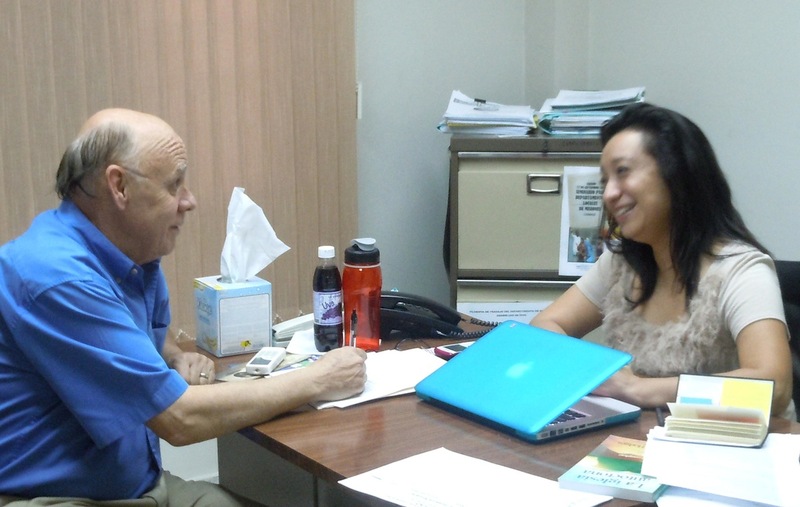 The gifted leader of Cuba’s impressive ministerial educational program is completing a Doctor of Education degree and plans to seek government accreditation for an AG university in the country. The impassioned warning of Dr. Carlos Tünnermann to “innovate or perish” has resonated with higher education leaders across the continent, leading to massive restructuring efforts. Tünnermann is the illustrious former Minister of Education of Nicaragua, President of the Federation of Latin American Universities, first General Secretary of Consejo Superior Universitario Centroamericano, founding President of the Central American Council for Higher Education Accreditation, author of 50 books on higher education, holder of three dozen distinguished international education awards and member of the Executive Council of UNESCO, recognized as the world’s most distinguished educational and cultural forum. Ministerial education, a hallmark of AG missions activities since the inception of our overseas work, continues to experience many strategic changes in recent years. Course delivery formats, course content, didactic methods, learning styles, learning outcome evaluations, teacher/student relationships, virtual classrooms and digital libraries are some of the changes that are evolving with increasing speed. More AG universities will be established and novel ministerial training initiatives will evolve. A survey of ministerial education practices in the USA may be reflective of trends to be anticipated in LAC. Of the 1,871 new ministers added to the AG-USA in 2010, 37% were educated in AG schools (traditional residential programs), 30% in Berean (distance education), 12% in District Schools of Ministry, 10% in other schools, 6% by life experience and 5% unknown.2 Only a little more than 1/3 were trained in the traditional model. No study of this nature has been performed in LAC, but if this pattern should be indicative it will serve us well to plan ahead. Several leadership changes will usher in a new wave of institutional advancements and innovation. Jon Dahlager was recently selected by SEC as President of Asociación Teológica de América Latina (ATAL). SEC also named Mike and MonaRe Shields as Co-directors of ISUM in place of Jim and Thelma Billings who had stepped down. Dee and I announced our intentions to step aside as President of Facultad de Teología (Latin America Theological Seminary). Allen and JoAnn Martin have been ratified by SEC to assume the position. Ministerial education during the past decade has been strengthened and enhanced by several new faces, among them: Steve Wallace, David Hunt, Dan Klaehn, Ryan Jordan, Jason Roberts, Dave Godzwa, Joil Marbut and others, who along with their spouses will transform our educational endeavors and take us to more effective levels of competence. The face of ministerial education in LAC has changed. And it will change again. It must! Progress and improvement will always involve change. What changes will happen next? How will you be involved in those changes? 1 Carlos Tünnermann Bernheim, La Educación Superior en el Umbral del Siglo XXI (Higher Education at the Threshold of the 21st Century) (Caracas: Ediciones CRESALC/UNESCO, 1998), 221. Larry, thank you for your many years of faithful service, and your vision for the future. I’m sure God continue to guide you in future service. It is a joy to serve on the same team with you. May the Lord guide us all to keep abreast with the best options of education in each nation. What a challenge! I also want to congratulate Larry for his many years of solid leadership with ¨Facultad¨. I agree that we need to pursue government accreditation in Latin America. Yes, it will require greater excellence on our part and more work. Many are against going down the accreditation trail because they think that the government will gain control over our curriculum and water down our goals for ministerial training. So far I have not seen that to be the case. Larry, I’d like to add my voice to those who have congratulated you on your years of dedication both to ministerial education in general and Facultad specifically. Your work is appreciated and we’re glad that as we join our efforts to yours that we’ll be able to call upon your wisdom and expertise, hopefully for years to come. Larry, I know that the decision is tough, mainly because it may appear to eliminate a lot of people. On the other side accreditation opens many doors and nonaccreditation often becomes a dead end street for there is no where to go from there. We were forced to open a university and the fears I had of control of what we teach is gone. The only control is that we do what we say that we are going to do.